Mary Wilson, Cindy Birdsong, and Jean Terrell took the country by storm when they reformed The Supremes in the wake of Diana Ross’ departure. This trio was hot. And they didn’t seem to be missing their former lead singer at all. As this clip from The Glen Campbell Goodtime Hour shows, they were an entity unto themselves and they were making hits, thrilling audiences, and selling records like mad from their first appearance together onward. One of their most popular performances from this period was Everybody’s Got The Right To Love. 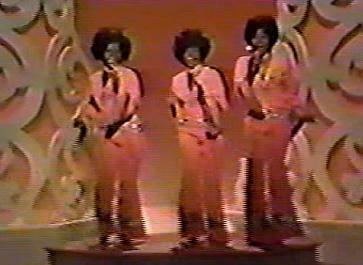 Performing it along with a medley that included Something About The Way He Moves Me and Homeward Bound (with Campbell) shows just how popular this new group of Supremes was. The studio audience couldn’t get enough. Glen Campbell seemed perfectly at home with The Supremes, as they did with him, and their voices had never sounded better. This is a rare clip from one of their most exciting TV appearances from 1970. Between the huge hits of Up The Ladder To The Roof and Stoned Love, there was no question that The Supremes were on the scene with gusto.